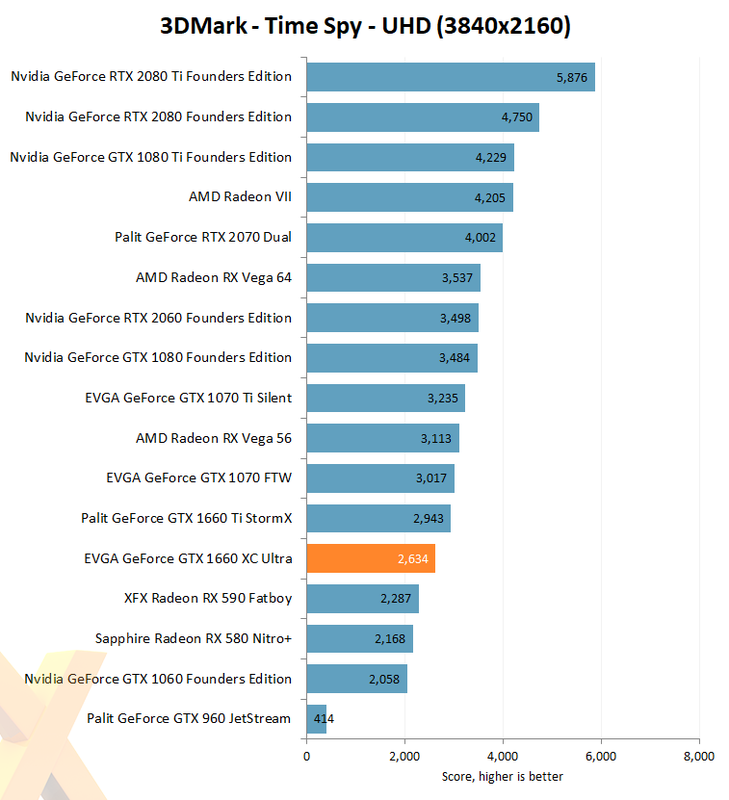 Rendered at a 2,560x1,440 QHD resolution and making use of DX12 technologies such as asynchronous compute, explicit multi-adapter and multi-threading, Time Spy is a forward-looking 3DMark benchmark that hints at GPU potential in various upcoming games. 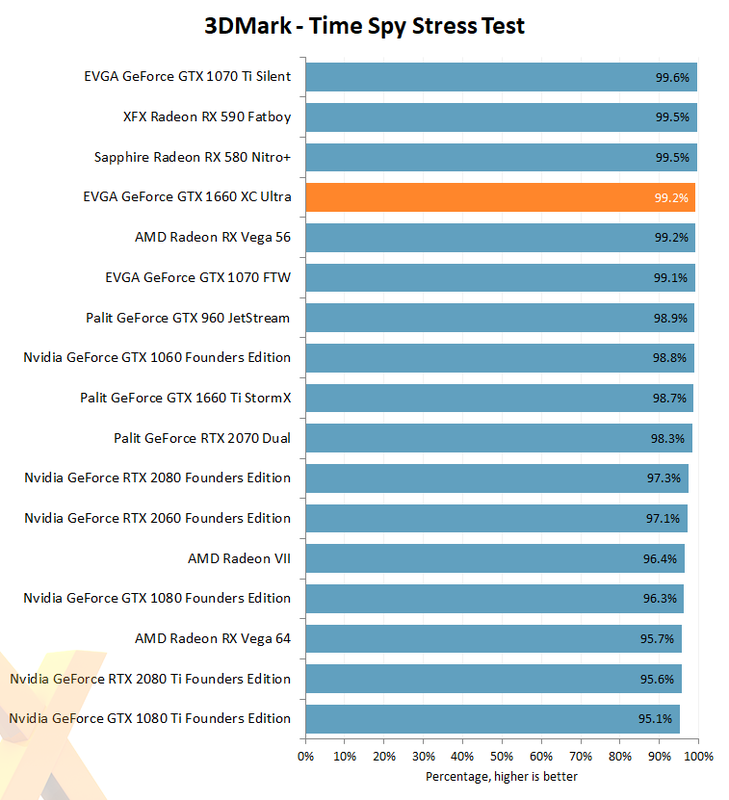 The EVGA GTX 1660 falls nicely into GeForce step in this synthetic benchmark, coming in about 10 per cent lower than a stock GTX 1660 Ti. 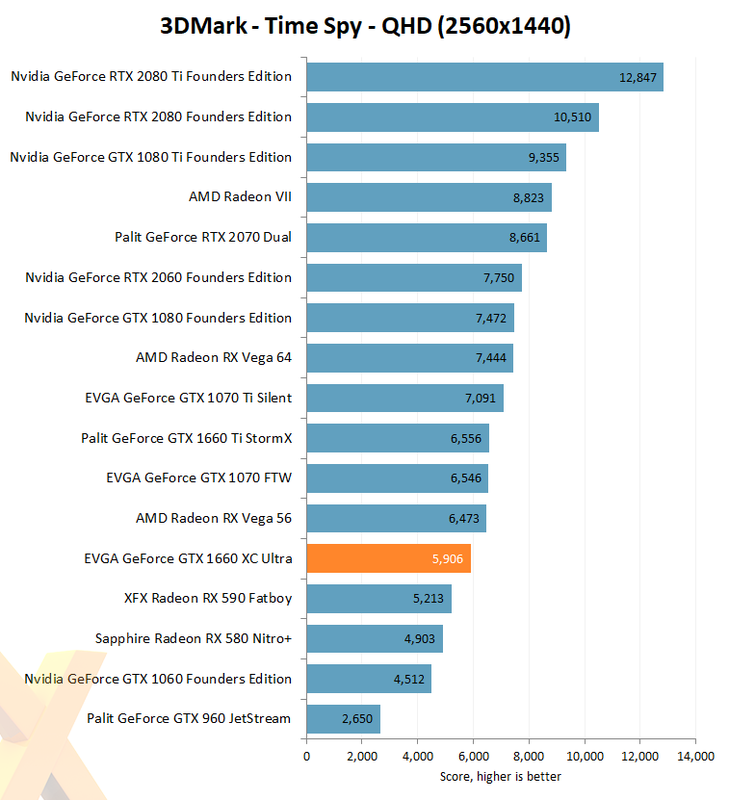 That's not bad for a 7.5 per cent GFLOPS and 33 per cent memory-bandwidth reduction. It's fair to compare this EVGA card against the Sapphire RX 580 Nitro+ and XFX RX 590 Fatboy because all three represent premium interpretations of the underlying GPU, and the trio are about the same price. That being the case, GTX 1660 has a handsome lead over the RX 580, to the tune of 20 per cent. Round one to the green team.